E-commerce is a very lucrative field. But it is also full of legal compliances that must be strictly adhered to. Most of the e-commerce entrepreneurs in India fail to comply with e-commerce laws and regulations of India. Example of e-commerce entrepreneurs failing to comply with Indian laws pertain to online pharmacies, online gambling, online adult accessories, online stores, etc. The latest to add to this list is the dealings of Bitcoins in India. Naturally, Bitcoins legal issues are increasing in India. One of the most prominent questions that is making rounds in the Indian e-commerce entrepreneurs is are Bitcoins legal in India? This legal uncertainty among Bitcoin community of India is increasing day by day. More and more legal violations are being reported these days. In the past there have been many media reports of the usage of Bitcoins for illicit and illegal activities in several jurisdictions. Now it has been reported that some Indian tea traders violated Indian laws by engaging in illegal Bitcoin transactions. According to Perry4Law, the leading techno legal law firm of Asia, the Reserve Bank of India (RBI) has just fell short of declaring that use of Bitcoins in India is illegal. However, RBI has clearly indicated that use of Bitcoins in India is subject to Financial, Security and Legal Risks. Thus, Bitcoins website owners and entrepreneurs must comply with Indian laws to stay legal opines Perry4Law. Bitcoins websites are already under regulatory scanner of Enforcement Directorate (ED). In fact, Seven Digital Cash LLP is already facing legal risks for dealing in Bitcoins in India. More details would be available only once ED completes its investigation in this regard. ED believes that Bitcoins money can be used for hawala transactions and funding terror operations and this seems to be a legally plausible explanation as well. Meanwhile the Bitcoin community of India is planning to analyse legal framework surrounding Bitcoins in India. From their initial encounter with the Indian laws they have realised that Bitcoins business cannot be done in India without regulatory risks. 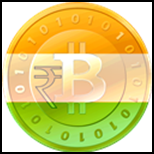 They have also sounded an alarm of caution that Bitcoin community of India must comply with Indian laws before dealing in Bitcoins in India. However, a bare perusal of the websites of various Bitcoin providers in India shows that they have clearly failed to consider Indian laws. For instance, The Information Technology Act 2000, which is the cyber law of India, prescribes cyber law due diligence and the Internet intermediary liability in India. These cyber laws due diligence and Internet Intermediary requirements squarely apply to websites dealing, selling and transferring Bitcoins in India. But these websites are not following the same and these lacunas are allowing ED and other regulatory authorities of India to corner Bitcoin websites and their owners. It would be a prudent act on the part of Bitcoin community to consider all the applicable laws of India and duly follow the same while dealing in Bitcoins. Needless to say the same must be done before launching any new Bitcoin websites in India and the existing one must also fall in line as soon as possible.